The Eliot family’s former house on Gloucester’s Eastern Point, seen today. You don’t have to spend your whole life in New England to earn a spot on the roster of famous New England writers. Robert Frost was born in San Francisco. Boston native Edgar Allan Poe sneered at the city and spent most of his life in other places. Still, the city immortalized him last fall with a statue across from Boston Common. T.S. Eliot, the Nobel Prize-winning author of “The Waste Land,” generally doesn’t show up on our mental list of hometown literary heroes. Born in St. Louis in 1888, he left the United States for England in his 20s and ultimately adopted British citizenship. The acquisition comes as part of a small wave of events uncovering local influences on this foremost Modernist poet. Starting April 6, an exhibition at Houghton Library at Harvard University, where Eliot attended college and graduate school, will celebrate the 100th anniversary of “The Love Song of J. Alfred Prufrock.” The same month will see the American release of “Young Eliot,” the first in a projected two-volume biography by Robert Crawford, which gives new attention to Eliot’s years in Gloucester and Cambridge. Together, these projects amount to a reclamation of a writer who never felt entirely at home anywhere, but whose writing is infused with the natural and cultural landscape of the Massachusetts coast. Championed by Ezra Pound, Eliot published “Prufrock” in Poetry magazine when he was just 26 . Through “The Waste Land” and “Four Quartets,” he established a somber, lyrical style that mixed contemporary references into more formal, religiously inflected lines. He also wrote essays, plays in verse, and the playful rhyming poems of “Old Possum’s Book of Practical Cats,” the basis for the musical “Cats” by Andrew Lloyd Webber. 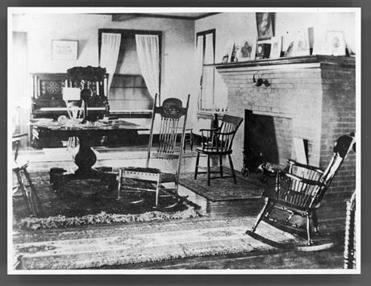 The living room of the Eliots’ former home. The plan is to turn the home into a center and writers’ retreat that will link Eliot’s legacy to the place he loved as a child. 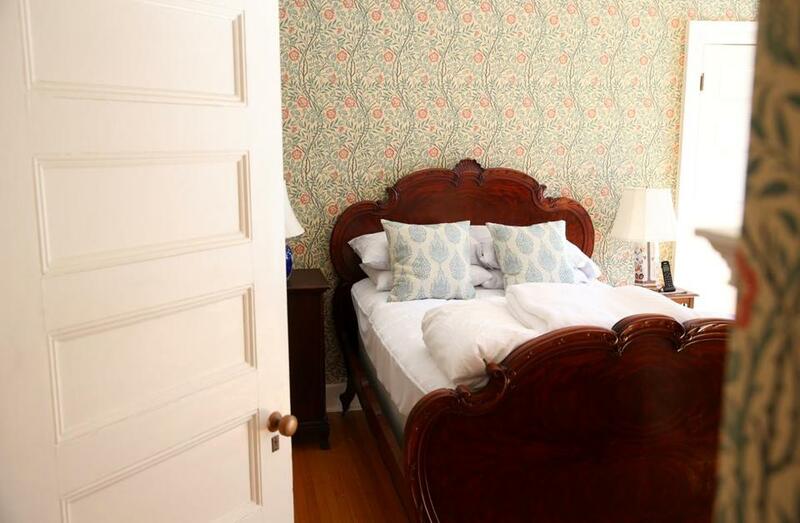 Read: A famous writer slept here, but do house buyers care? A few of Eliot’s works make direct reference to the North Shore. One poem in “Four Quartets” is “The Dry Salvages,” referring to a set of weather-blasted rocks off Rockport. His sequence “Landscapes” includes a stanza about Cape Ann: “O quick quick quick, quick hear the song-sparrow, / Swamp-sparrow, fox-sparrow, vesper-sparrow / At dawn and dusk,” it begins. Eventually he would leave both places for good. He stayed in England, marrying two British women in succession, abandoning his native Unitarianism for the Anglican Church, and taking British citizenship. But Eliot seems to have unabashedly loved the house in Gloucester, to which the family returned each summer. “When I come home after the war I should like to be able to go straight to Gloucester,” he wrote to his mother from London in 1917. He learned to sail there, and was fascinated by the birds, the smell of the pines, and the rugged lives of the sailors who braved Cape Ann’s waters. The big, breezy house, tucked between bulky stone outcroppings, with a wraparound porch (now partly glassed in) and a huge attic to play in, seems like it would have captured any child’s imagination. 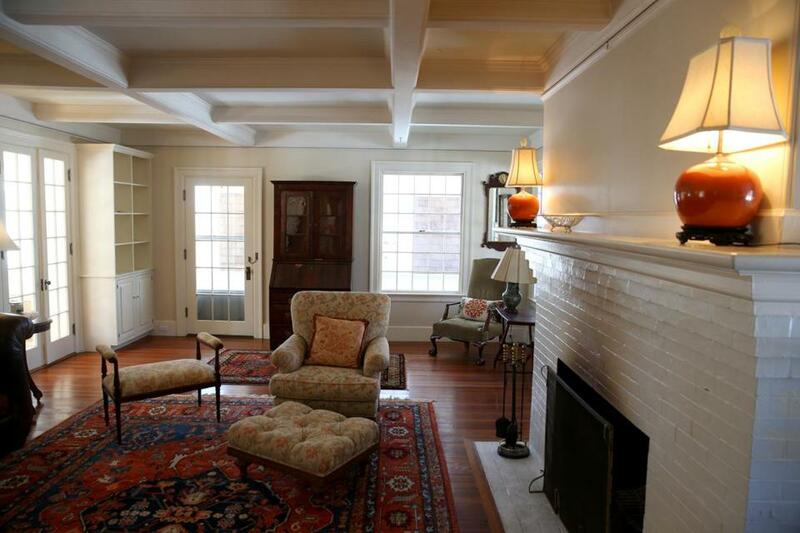 The house was much unchanged since Eliot’s day, but it was “a wreck,” Hawkes said. “We just wanted to take the original bones and clean it up.” Today, it has a modern kitchen and bathrooms, but you can see traces of the wealthy Victorian family with seven children that built it for seaside comfort, with imposing brick fireplaces and spacious closets. Hawkes said that they found the word “Harvard” and a skull and crossbones painted in the attic — perhaps dating from the days of the Eliots. After her husband’s death in 2011, Hawkes decided to sell the house. In London, meanwhile, the proceeds of a major Christie’s sale of the effects of Valerie Eliot, Eliot’s devoted and much younger second wife, had yielded a new charitable fund, the T.S. Eliot Foundation. “We had a long and niggling doubt that we weren’t doing enough in America to keep Eliot’s name alive,” Reihill wrote in an e-mail. 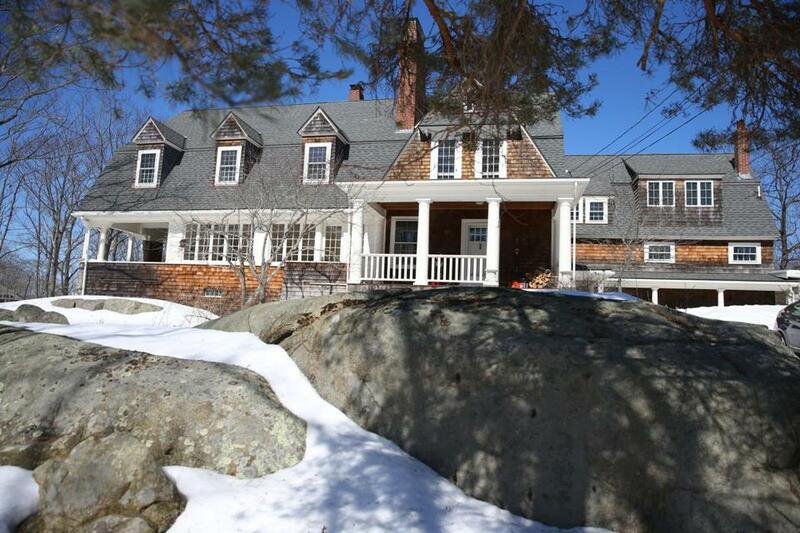 In December, the sale went through for $1.3 million, slightly below the asking price. Reihill said the foundation envisions the house as a writers’ retreat, hosting five poets, essayists, or playwrights at a time; as a location for symposia on Eliot or poetry; and as a learning center about poetry for schoolchildren. They hope to have it operating by mid-2016.